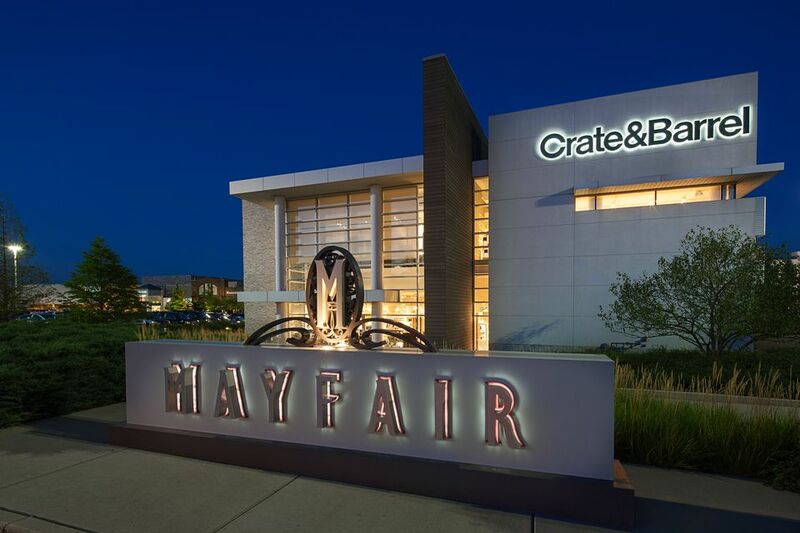 The Mayfair Mall is the largest mall in Milwaukee with over 180 stores, including notable retailers like Macy's, Sephora, Crate and Barrel, and Pottery Barn. There are more than 30 restaurants and snack bars as well as an 18-theatre AMC cinema. Located at 2500 N. Mayfair Rd in Wauwatosa, visitors can look forward to the diversity of the mall where they can treat themselves to a spa day at the 4 Seasons Nail Salon, a tech upgrade at the Apple store, or a treat at Fuzziwig's Candy Factory. The Mayfair Mall is known for its nice food court, latest fashions, and interesting stores. The security and workers are friendly and will make visitors feel safe and welcomed. The variety of stores range from budget-friendly to high-end, making the mall a fitting spot for everyone. Big Easy Cajun: This affordable restaurant specializes in Cajun & Creole food and has really spicy cuisine options with high service, value, and quality food. Visitors can check out the blackened chicken salad, lightly breaded fish, and other flavorful menu options. The Cheesecake Factory: This American restaurant offers international and vegetarian choices and naturally specializes in its many cheesecake flavors. Guests will enjoy the array of food items, from the delicious shepherd's pie to chicken sliders, and a classic steak. Soups, mashed potatoes, and the salads are also favorites. While the portion sizes tend to be large, this a great option for big families looking to celebrate a special occasion or take home a doggy bag. Maggiano's Little Italy: This popular Italian spot is vegetarian-friendly with gluten-free options. Although it leans toward the pricier side, guests dining in will be able to enjoy huge portions in a relaxed and quiet restaurant with menu items like pasta, shrimp, lemon cookies, and other family style dining options. P.F. Changs: P.F. Changs is a great full-service restaurant offering Chinese, Asian, and gluten-free options. This menu favors a diverse selection of noodle and rice dishes like honey chicken, Mongolian beef, and sushi. There are also popular appetizers and meals available including lettuce wraps, egg rolls, and soups including egg drop and wonton. Potbelly Sandwich Works: Sometimes you're just in the mood for a quick sandwich. This quick service restaurant offers American fast food with fresh ingredients. Menu items are great for lunch and include subs, sandwiches, soups, and tasty smoothies. The retro shop also offers baked goods, vegetarian options, and sides like mac and cheese, salads, and chips. Check out the directory of restaurants and eateries at the Mayfair Mall below.